Tsaagan mangas, was found in the Ukhaa Tolgod region of Mongolia. Tsaagan was slightly larger than a turkey and its skull is one of the best preserved Dromaeosaurid skulls ever found. Dromaeosaurs were agile, bipedal dinosaurs that lived in Asia and the Americas during the Cretaceous period. They were closely related to birds and many of them are even known to have had feathers. 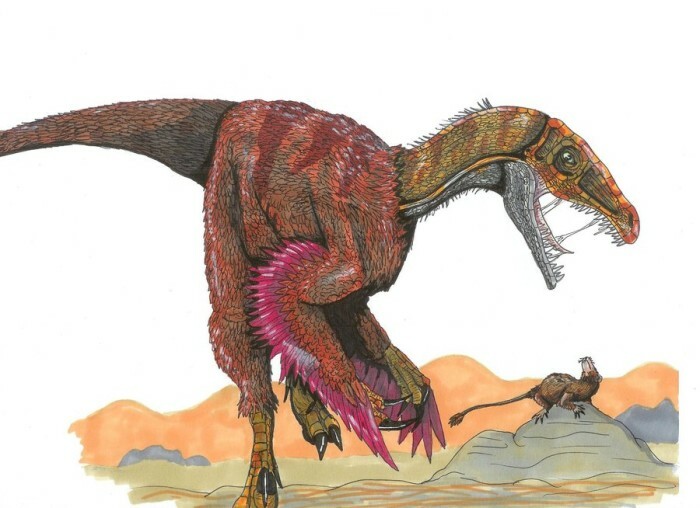 Dromaeosaurs are often called“raptors,” after Velociraptor, a dinosaur made famous in the film Jurassic Park for its sickle claw and steely intelligence. The skull of Tsaagan contains traits, such as expanded cheek bones and slight differences in the shape and positioning of skull cavities that set it apart from all known dromaeosaurs. Tsaagan “adds a really important data point when it comes to understanding variation within the skull and also basic skull morphology within dromaeosaurs. 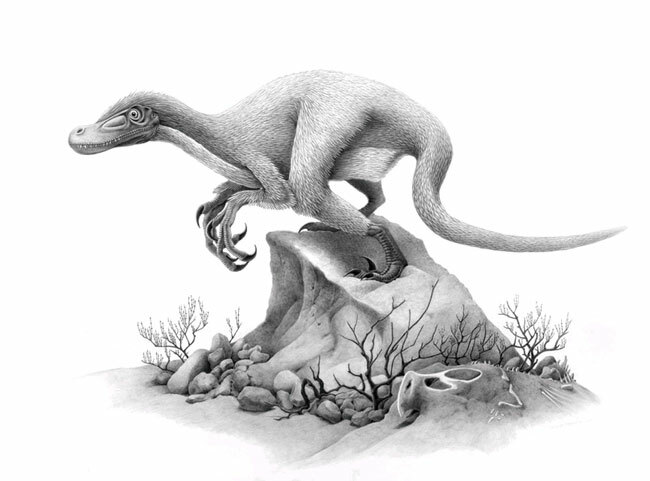 Tsaagan, whose name means “white monster,” lived about 80 million years ago, during the latter part of the Cretaceous era. A skull, several neck bones and a shoulder bone were unearthed in the Ukhaa Tolgodregion of Mongolia in 1993, but the fossils were only recently described. Fragments of a jawbone from the second raptor, Shanag ashile, was found in the Oosh region of Mongolia. It lived about 20 million years before Tsaagan and was probably much smaller, about the size of a small raven. The name Shanag ashile is a compound name: “Shanag” refers to dancers in a Buddhist festival in Mongolia, and “ashile” is an old name for the rock formation the animal was found in. 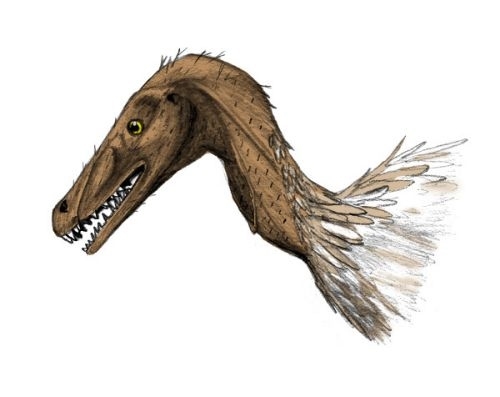 Shanag likely resembled Microraptor, a feathered bird-like dinosaur discovered in China that scientists think coasted between trees on two sets of wings. The new raptor species were detailed in recent issues of American Museum Novitates, an AMNH science publication.